Take maida ,ghee for moyan,1/2 spoon baking soda ,1-2 spoon curd , and luke warm water in small quantity. Now mix all the ingredient and knead it gently .Leave the dough for some time and mix them again . Now make small round balls out of the dough and press them gently between your palms and make a depression with your thumb on the centre. Take ghee or dalda in a pan and heat it .Once its proper heated, start deep fry those flat balls in ghee in medium flame. Once all flat balls are deep fried, It is turn to make sugar syrup. Take equal amount of water and sugar in a pan and start boiling it .Slowly once its concentrated .Take a drop of it between thumb and index finger ,if 1-2 strings started coming then switch off the flame. 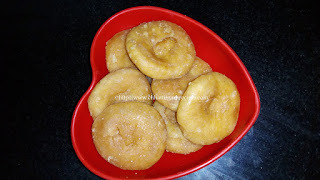 Pour all the sugar syrup on the fried balls and leave it for few hours. The syrup will settle down and balls will soak in the syrup. Balooshahi is ready to eat. Note : balooshahi is famous and available everywhere in Chhattisgarh .Its source of energy and sweetness. Soak the mushroom in the water for some time.Wash it thoroughly .Now with the help of your hand finger tear the long mushroom thread wise and once its done, cut in long pcs. Fine chop 2-3 onions . Heat 2-3 spoon oil in a Pan n saute onion first . Add salt,turmeric powder,red chili powder ,coriander powder in onion and mix the chopped futu(mushroom) in it . Cover the preparation and let it cook .slowly water comes out from mushroom.Cook it until all the water evaporate n mushroom turns dry .Switch off the flame n enjoy with chapati or rice . 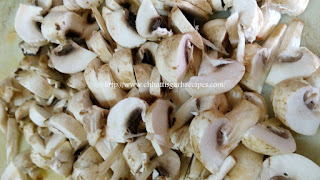 Note: Most of us are aware about mushroom & its nutritional values. 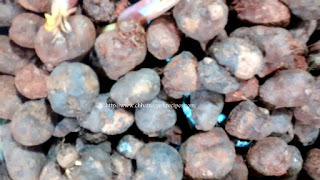 Now days its grown up commercially & most of them are button mushrooms.From the ages in Chhattisgarh people are consuming mushroom and locally it is known as futu. In Chhattisgarh consumption of long mushroom is high, which is self grown in the forest near the roots of shady big tree .Now a days it comes only for few days & price goes upto 400rs/kg. Boda is a root & eaten mainly in bastar (southern part of Chhattisgarh) .The preparation is little tedious. Boda is taken out inside from the earth .so it is covered completely with soil. Soak in water & wash many times the outer layer. Now pel off the out cover & collect the inner round shape part. On requirement basis you can cut into two parts. Grind or fine chop 2-3 onions ,take garlic paste or fine chop garlic cloves, prepare tomato paste. Heat the oil a pan n put onion garlic paste in it .once paste start changing the color mix tomato paste in it. Cook the paste for some time until water evaporate .Now add salt, turmeric, chili powder, coriander powder and cook until oil comes in the sides. Add boda in it,mix with coocked paste and cover for some time. After 5-10 mins add some hot water and transfer whole mixture in the cooker. Switch off the flame after 3-4 Whistles.One can enjoy it with steamed rice or ghee roti. : Boda is nod like structure which is grown on its roots .Its rich in minerals & carbs .Mostly found in forest.It is popular in bastar and near by region. karil is fine chopped or grated bamboo shoot . Take 250gm karil and wash it 2-3 times. Take 2 onions & chop it in long pcs. Heat the oil in a pan.Put chopped onion in it ,let it get little brown & add the karil in it .cover the mixture to cook well. Once its little cooked then add salt,red chili powder, coriander powder, turmeric powder and cover it. Note : Karil is grated bamboo shot .Its eaten mostly in bastar & near by districts.Bamboo is great food for nutrition specially non agricultural days or time when survival is tough.